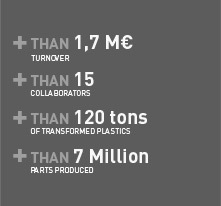 OPS Plastique is always looking for collaborators passionate about plastics, precision engineering and technology. Send us your resumé and a hand written cover letter to the address mentioned below, we may need your expertise soon. We encourage the leaders of tomorrow. Our R & D Administration is listening to your professional projects. Do not hesitate to send us an application with your resume, handwritten cover letter and a detailed description of your training. We are pleased to welcome trainees regularly in our services and R & D.
Do not hesitate to send us an application with your resume, handwritten cover letter, dates and duration of the internship.